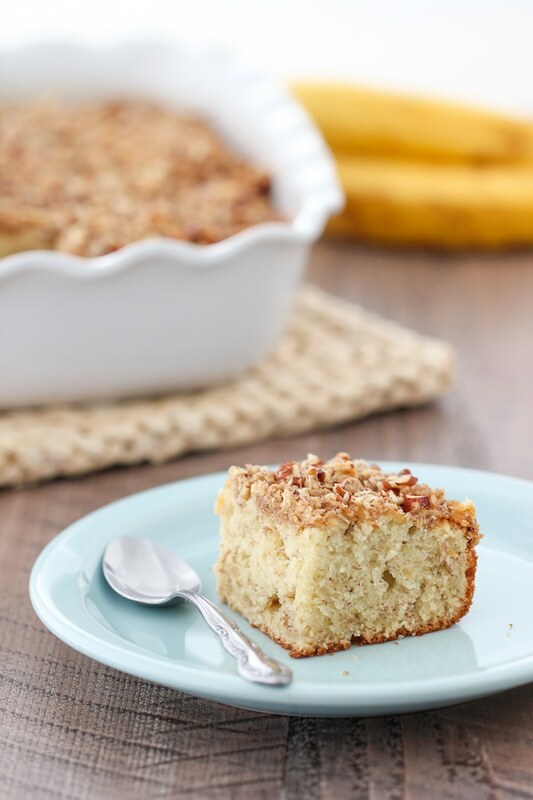 This banana coffeecake is an example of frugality at it’s finest. Not only are you salvaging leftover brown bananas, but you can make an extra portion and freeze it to enjoy another day when there your cookie jar is empty. Did you know that you can stock your freezer with baked goodies too? You certainly can. Many cookies, muffins and breads can be frozen. 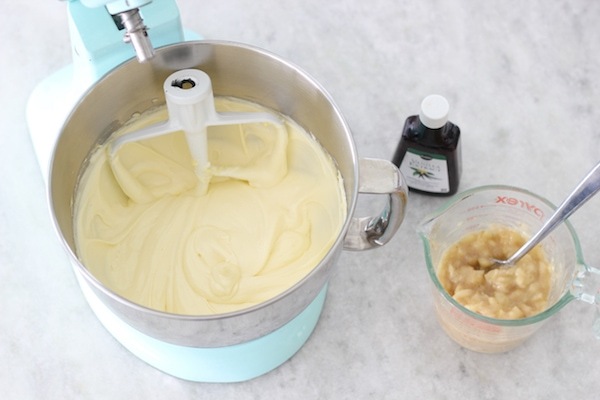 You can easily make a double batch of whatever you’re baking and store one in the freezer. 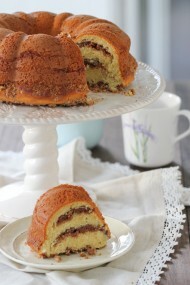 The tender and crumbly coffeecake with distinct banana flavor is topped with crunchy pecans and a dusting of cinnamon. 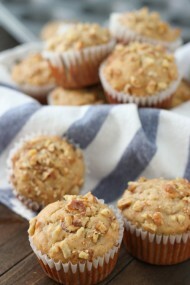 This is one of my husband’s favorite treats to enjoy with a glass of milk or to munch on at work. As you can see, freezer cooking is not only frugal, wise and time-saving, but absolutely tasty too. Preheat the oven to 350 degrees. Spray a 13×9 inch baking pan with baking spray. 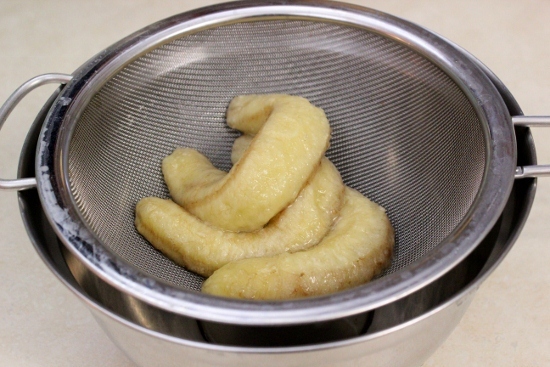 If you’re using frozen bananas, like I usually do, defrost them, peel and place in a fine mesh sieve. Drain until no liquid is left, about 5 minutes. Mash the bananas. 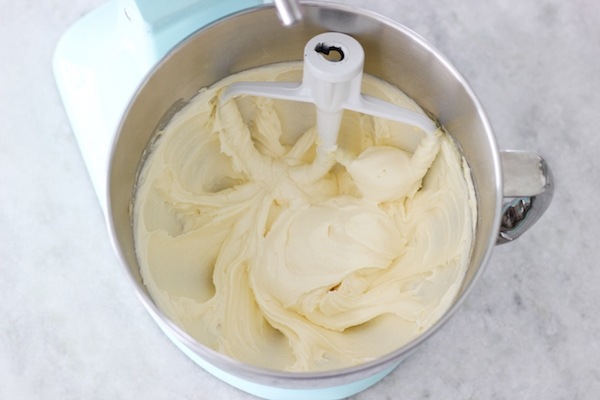 In a standing mixer with a paddle attachment, mix the cream cheese, butter and sugar until light and fluffy, about 3 minutes. 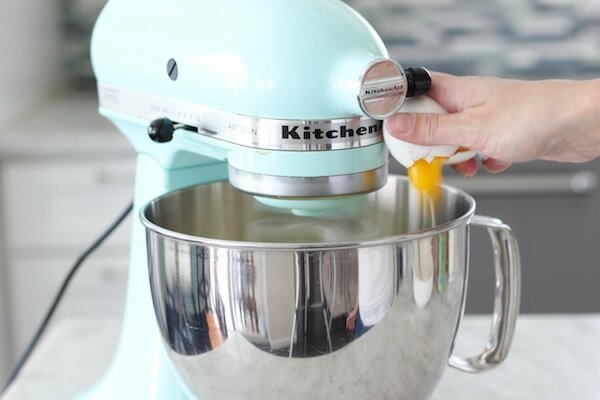 With the mixer running on low, add eggs, one at a time until the eggs are incorporated. Whisk the flour, baking powder, baking soda and salt in a bowl until evenly mixed. 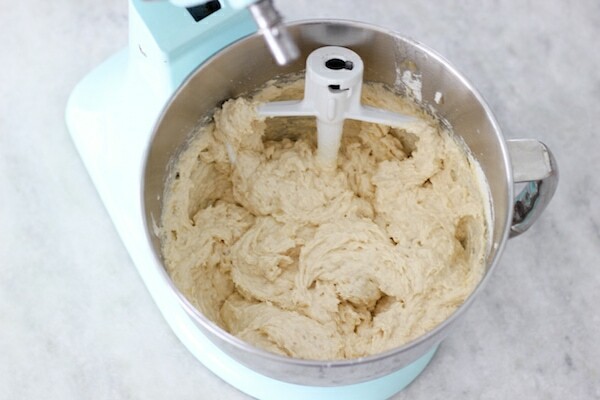 Add the dry ingredients to the batter and mix just until the dry ingredients are incorporated. 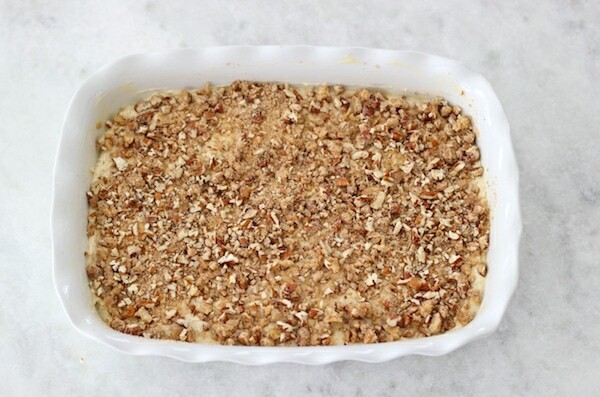 Spread out the batter evenly in the prepared baking dish. 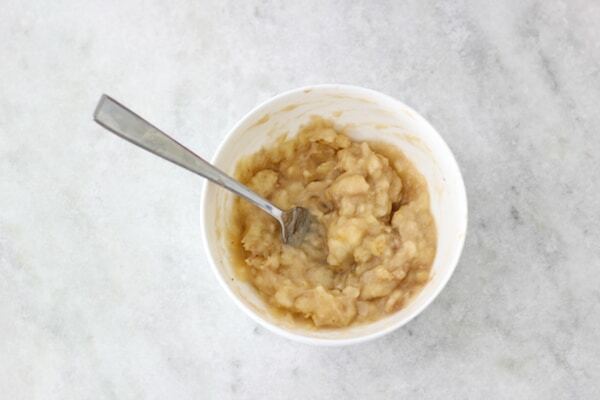 Combine all the streusel ingredients together in a small bowl. I usually cut the coffecake into 4 portions. Wrap each portion in parchment paper and remember to label. Wrap each portion in several layers of plastic wrap or place in a ziptop bag or sealed container. 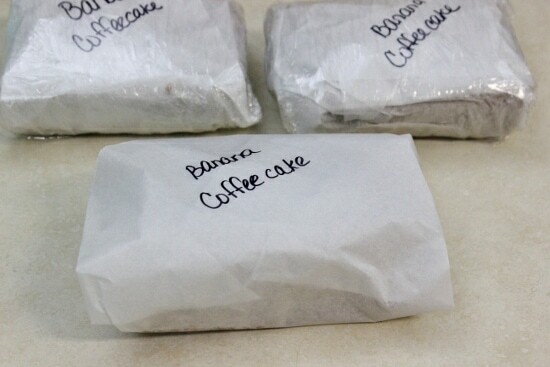 Unwrap the coffecake and defrost. You can eat it as soon as it unthaws or place it in the microwave for about a minute or heat up for about 10 minutes in a 400 degree oven. Preheat the oven to 350 degrees. Spray a 13x9 inch baking pan with baking spray. If you're using frozen bananas, like I usually do, defrost them, peel and place in a fine mesh sieve. Drain until no liquid is left, about 5 minutes. Mash the bananas. 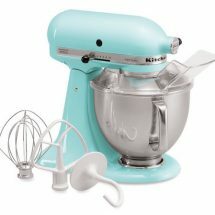 In a standing mixer with paddle attachment, mix the cream cheese, butter and sugar until light and fluffy, about 3 minutes. Whisk the flour, baking powder, baking soda and salt in a bowl until evenly mixed. 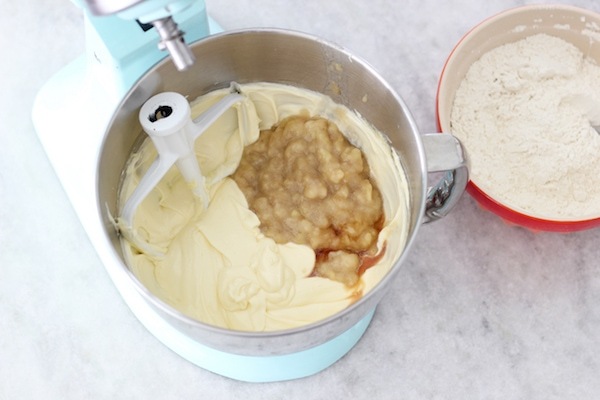 Add the dry ingredients to the batter and mix just until the dry ingredients are incorporated. 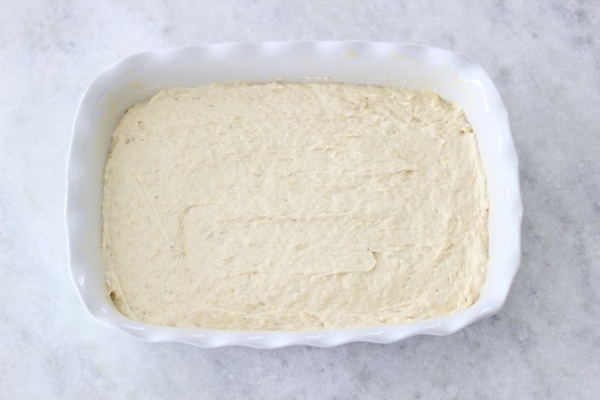 Spread out the batter evenly in the prepared baking dish. 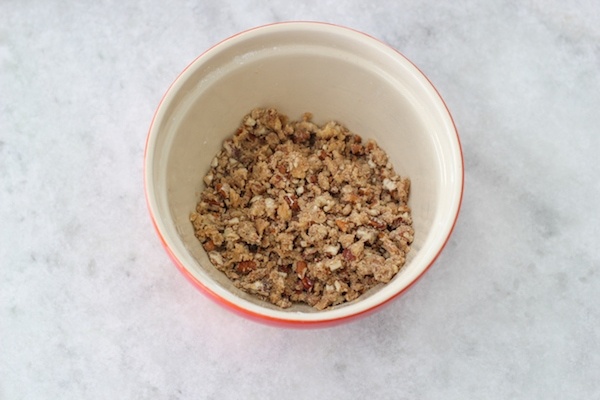 Combine all the ingredients for the streusel topping together in a small bowl. Spread evenly over the batter. To serve: Unwrap the coffecake and defrost. You can eat it as soon as it unthaws or place in the microwave for about a minute or heat up for about 10 minutes in a 400 degree oven. This looks absolutely delicious! I gotta go buy some bananas and purposely leave them on counter top for a few days. Wow, that’s so awesome… I love the idea of freezing things. Olga, you have been an amazing help. I actually found your website while I was expecting my last baby cause I was craving childhood food 🙂 and after that every post of yours been a great help in my kitchen. And now the freezing subjected couldn’t come in a better timing. 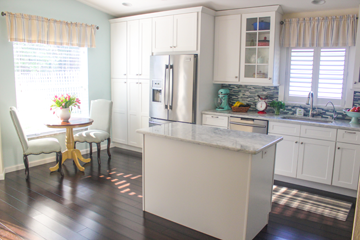 We are starting to homeschool our kids and freezing out meals is a wonderful ideas. Thank you so much. 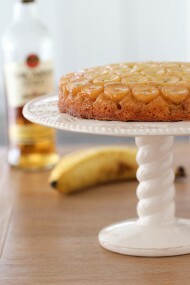 And this cake is something that’s going to be baked in our kitchen. I made this tonight, they were so good! thanks for the recipe, its definatly going in my recipe book. You’re fast, Larisa. Thanks for letting me know:). The best banana bread i have ever make…turned out soooooo good. Thank you so much. Thank you, Galina! I am so touched by your kind words. It means a lot for me to get comments like yours. Looks good! I Will Make It Soon. It was the best cake i have tried so far,even if i didn’t have pecans it was worth trying it!Thank you for sharing your recipes. It should be good for a few months, as long as you seal it really well. It was so quick am simple i loved it. Seems like everyone loved it half of it gone before even cooling ! Thank you for your recipes i love them ! I’m so happy to hear that, Irina! Thanks for taking the time to write. I actually just made this coffeecake last week too:). This coffeecake was awesome! 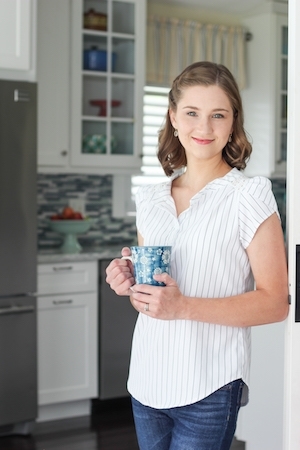 I just wanted to say thanks for posting the suggested beating time– I actually timed myself and realized I would have spent FAR less time creaming the dairy and sugar otherwise. Thanks for another keeper. You’re welcome! I know that when I first started baking, I actually timed myself and just like you was surprised that I would have done it much less. Olga, thank you for this wonderful recipe. I made the coffeecake today and it is delicious. 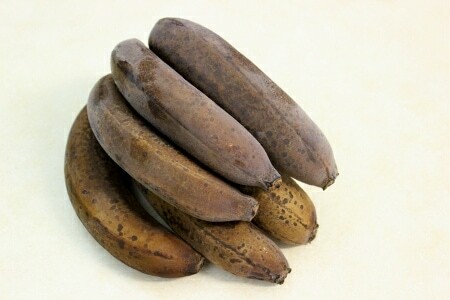 I was looking for a recipe to use up my very ripe bananas and I found this recipe here. I made it just now and it is so yummy!!! I didn’t have pecans so I used walnuts. Thank you! That’s wonderful, Oksana! Thank you for taking the time to write. 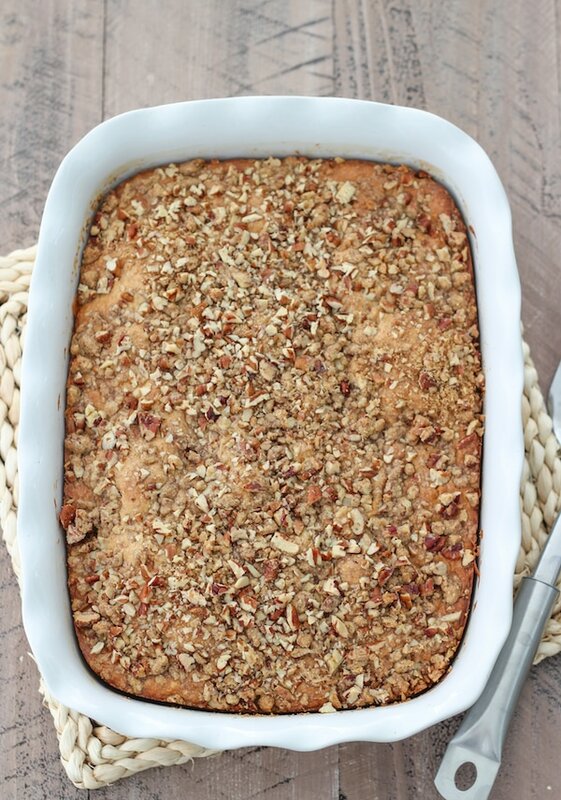 I am so happy you enjoyed this Banana Coffeecake. Thank you so much for sharing our joy. 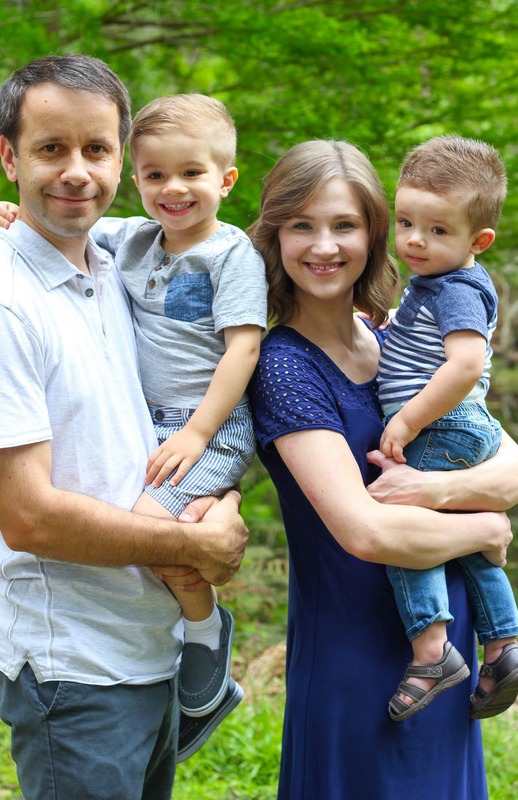 We are really excited about having a new baby added to our family:). I want to use my ripe bananas to make this but we are not big fans of nuts. I was wondering if you had any ideas or suggestions for something else to use for the topping? Would oats work? I followed the recipe and did everything right but my cake didn’t rise. I’m sorry to hear that, Lana. Maybe the baking powder and baking soda are faulty? Also, were the butter, cream cheese, and eggs at room temperature. If they were too cold, it will make a significant difference in the texture of the cake as well as how well it rises. This was sooo delicious! I seriously loveee all your recipes!!! I’m happy to hear that you enjoyed it, Katie:). 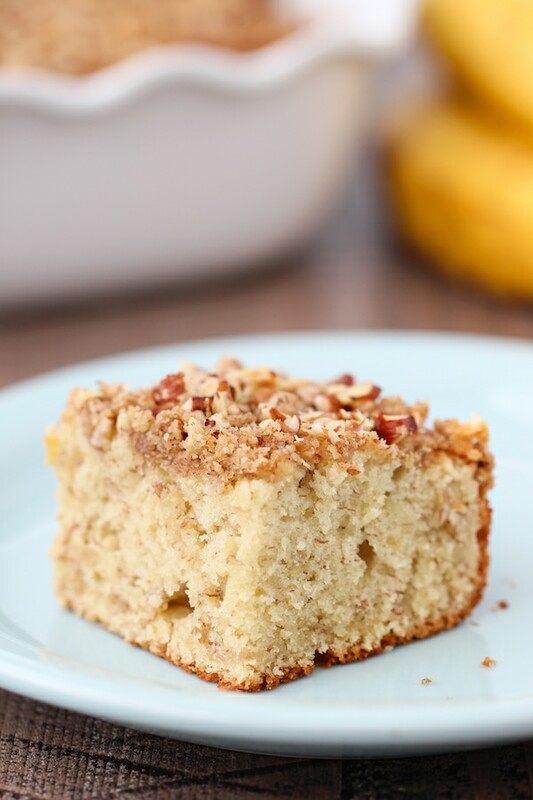 I am so happy that you enjoyed the Banana Coffeecake, Yana. Thank you for taking the time to write.